Benefiting from a strong El Nino winter, the many ski areas and resorts around Taos are not only enjoying some of the best snow conditions in years, but their annual events have an even greater celebratory tone than usual. If you are wondering what to do in Taos, visiting in February will provide you with an overwhelming list of options. The area’s ski resorts are undoubtedly some of the best Taos attractions in winter, and the month of February is the perfect time to enjoy the slopes in addition to some special events. Below is just a small taste of what you can look forward to near El Pueblo Lodge. The small town of Red River is one of many nearby small mountain communities that are considered a local Taos attractions and Angel Fire Resort provides a great alternative to the more popular Taos Ski Valley. Historically, people do not flock to the Southwestern U.S. to celebrate Mardi Gras but these two destinations are doing their best to change that. From February 5 to 9, Red River transforms into a Mardi Gras headquarters, complete with parties, parades, Cajun cooking, and Creole music. During these same days, Angel Fire Resort showcases their own take on Mardi Gras festivities. Ski bike demos, shovel racing, slopeside events and live music, and a masquerade ball will help you to bring in February with style! 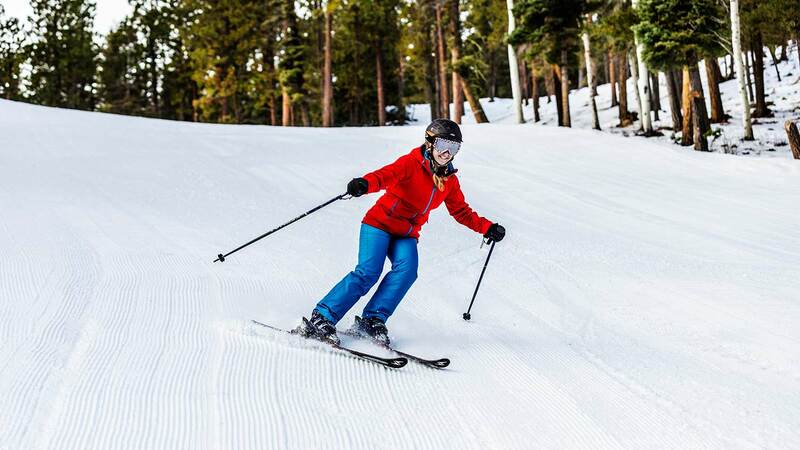 The Sangre de Cristo Mountains have long played host to a variety of ski competitions, and not a winter goes by without professional or semi-professional athletes visiting the area to showoff their skills in any number of competitions. This year isn’t any different, and on February 7 you can head to Angel Fire Resort to witness the aerial acrobatics of the USASA Southwest Freeride Competition. This regional event will pin skiers and snowboarders against each other in the Liberation Terrain Park in a fight to make the national circuit. If you are already planning on spending a day or two on the slopes during your stay, consider February 7th when you will get a freeride show from the area’s best with the price of your lift ticket! Family Fun at February Fun Fest! If your raucous ski-bum days are long gone and you have since replaced them with family vacations, stay with us over President’s Day Weekend for February Fun Fest at Sipapu Ski Resort! This weekend’s free festivities are geared for the entire family and include a parade, treasure hunt, games, contests, and even a giant snow castle. February is arguably the best time to visit Taos, NM, as the snow is good and the holiday crowds are long gone. In addition to great skiing and eclectic culture, you can also experience many one-of-a-kind events this month. The above few are only a sampling, and when you book your next adventure with us, our guest service agents will be sure to help you find the perfect outings to help you make the most of your winter getaway.